I Will Now Read Your Mind With This Simple Card Trick! I thought I’d switch things up a little today and do something a little different. So, I’m just going to read your mind with a simple card trick. Sound good to you? First, I want you to pick one of the cards below. Go ahead—I’ll wait…. Did you pick a card, any card? Okay, now don’t tell me what it is, or you’ll ruin the card trick and it just won’t be any fun! Now, point to the card that you picked or put your mouse on it. Concentrate really hard on that card and memorize it. Write it down if you have to, just don’t forget it. You’ll need to recall it in a moment for the big reveal. I know that some of you are probably thinking that there’s absolutely no way that I can read your mind. It’s completely impossible, right? This card trick is actually quite simple. It doesn’t actually rely on me know which card you did pick, but which cards you didn’t pick. It’s a matter of simple statistics and probabilities. The vast majority of you will not pick five of the cards above, for a reason that I’ll explain in a moment. But, I’m not going to spoil the trick just yet. Are you ready for me to read your mind first? Prepare to see something AMAZING! Do you see your card below…? I can say with 100% certainty that you don’t see your card here! Pretty tricky, no? Did you figure out this card trick yet? Stumped? I know that a good magician never reveals his secrets, so it’s a good thing I’m not a good magician at all. The reason that you don’t see your card in the second image isn’t because I’m some sort of amazing mind reading magician. Trust me, David Blaine I am not. There’s really no way I could have known which cards you did or didn’t pick…but I did stack the deck, so to speak. Do you see how this card trick works now? Technically, I wasn’t lying when I said it was a matter of statistics and probabilities. Statistically, the majority of you would have stopped to follow the directions in the first half of the post and picked a card to memorize without scrolling down. And, you probably wouldn’t pick a card that wasn’t actually in the first image. At least I hope you wouldn’t, because nobody likes a cheater. However, since you were focused on remembering the card that you chose, your eyes and brain weren’t concentrating on the other cards at all. By distracting you with a block of text between the two images, I also shifted your focus further away from the remaining cards. 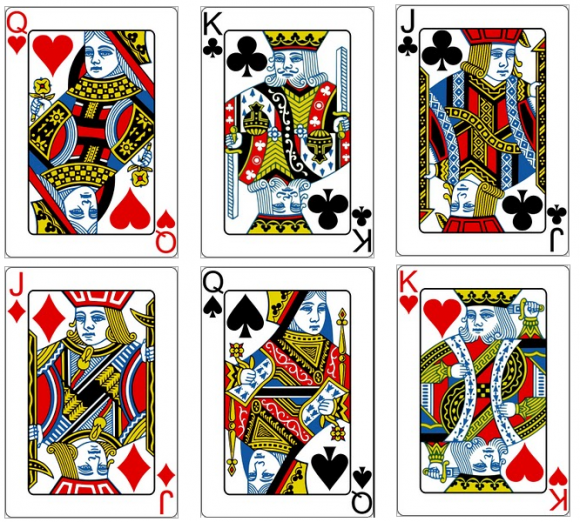 By the time you got to the second image, there’s a good chance that you were not going to remember any of the cards besides the one you chose. 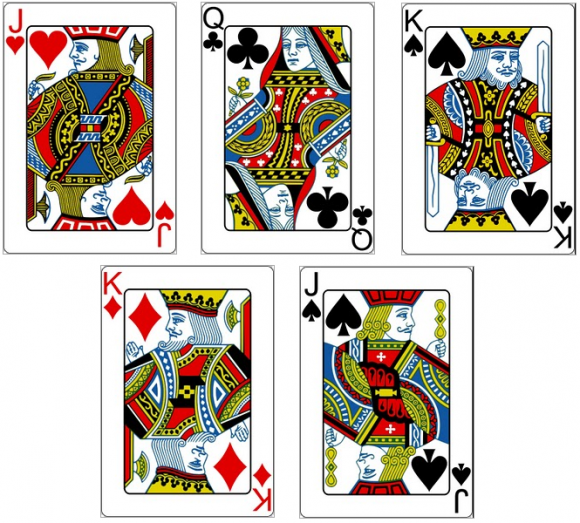 Therefore, you also probably didn’t notice that none of the cards from the first image appeared in the second image. BAM! Mind blown, right? No…? Anyone…? Tough crowd. I know—don’t quit my day job. But this is still a fun little card trick—an oldie but a goodie, if you will. Not impressed with my super amazing card trick? Bummer. Maybe this magic tables optical illusion is more your style! Prev Awesome Moving Tunnel Optical Illusion!